Is coffee good or bad for diabetes? Hmmm!! This is a question I‘ve been asking myself ever since my blood glucose levels (BGL) started to wreak havoc. As a child coffee was always painted in such poor light. It was something I was never allowed to have. I was told it would stunt my growth and that it was really bad for me. All the adults around me were drinking it so why was it such a bad thing? The smell it produced was amazing, it made me curious. “What was it like? Why was it so bad for me?” What made even less sense was that I was allowed to have milky tea, which made me happy because all the adults were drinking it too. Side note: I also love a good cup of tea. Tea however doesn’t seem to affect me in the same way that coffee does. As I grew I started to drink coffee, I’d drink one or two cups every week. I loved a good cup of coffee. It didn’t hurt me or affect my diabetes in anyway so I continued to drink it. Since I married my husband (who is a mega coffee drinker), I’ve drastically increased my consumption. My one to two cups every week increased to two to three cups in a day “shaking my head”. But I “love” coffee!!! Recently I began to realise that maybe coffee doesn’t love me back. Every time I’d drink a cup of coffee I noticed that it increased my BGL with no sign of coming down. Also if I ever ate after consuming a cup of coffee my BGL’s would increase even more, forcing me to correct it with a bolus (insulin correction) to bring it back down. I decided to do some reading about coffee and its possible effects on type 1 diabetes. A lot of the articles and papers I read were very confusing. 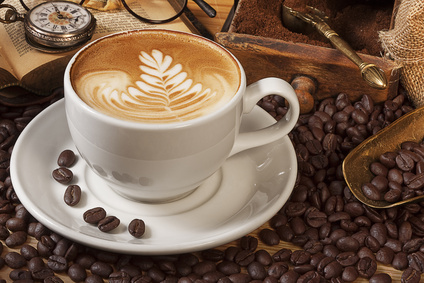 Some of the articles would express how beneficial coffee was to diabetes and other articles would point out all the wrongs with coffee and diabetes. I think the reason for this conflicting information is because, coffee contains several types of chemicals and some of these chemicals are beneficial whilst others potentially aren’t. This is due to the fact that caffeine is able to impair insulin sensitivity. In a person with type 2 diabetes this will increase BGL slightly, however with a type 1 diabetic BGL will increase a great deal and will require a bolus to reduce BGL. According to 2011 “Breast Cancer Research” studies show that coffee contains numerous phytoestrogens, which are chemicals found in plants that sometimes act like the hormone estrogen in your body. The role that phytoestrogens play in your body varies, however, with some mimicking estrogen and having the same effects as this hormone and others blocking estrogen’s effects. Coffee appears to have both varieties and factors like its preparation method, filtering or boiling may influence how much of each type you take. After all my reading, I made the decision to give the coffee a break and do a detox (I will do a more detailed post on my detox in the future), to cleanse my system and also to truly find out if it was the coffee that was affecting my blood glucose levels. I actually stayed away from all caffeine during the detox, so no tea as well. During the detox my BGL remained stable (no crazy lows or highs). After two weeks of detoxing I slowly reintroduce the tea first and my BGL continued to act as it did during the detox. I then reintroduced the coffee to see what would happen. I decided to only consume 1 cup of coffee every day in the morning. The first 2 days of drinking the coffee caused my BGL to rise beyond belief. I would always have to correct with a bolus. I did some more reading and found a few articles which mentioned that a regular high caffeine intake has been linked to better insulin sensitivity. I decided although my BGL had been rising, that I would increase my consumption to 2 cups a day. Day 3, the strangest thing happened. That morning I started my day with my usual routine of BGL check (7.2mmol/l) and my usual cup of coffee. I then checked my BG after an hour and to my surprise my BGL was within the normal range (4mmol/l – 7mmol/l). What did I do differently? Nothing at all! My BGL continued to stay in the normal range so I had my second cup of coffee that evening. Then day 5, my BGL started off in the normal range and then they began to drop almost after every meal. I struggled to get them up and it took a lot of glucose/carbohydrate consumption to get it within a normal range. Day 6 and 7 were pretty much the same. I had to have my emergency hypo kit to hand all the time. Week 2, I decided I would go back to having my 1 cup of coffee, once a day in the evening. This seemed to slow down the hypos. I guess that everything in moderation saying does work out after all. Another side track: I then found out I was pregnant and I completely stopped drinking coffee all together. After my little peanut arrived I made the decision to breast feed so I stayed away from coffee for almost a year. Plus the pregnancy and breast feeding brought a whole new set of hypo issues. My insulin sensitivity increased so much that my rates were nearly zero. My I: C (insulin to carb ratios increased) and ISF (Insulin sensitivity factor decreased), but I was still having hypos especially in the night. Naughty me I admit I even detached from my pump at times. As a matter of a fact even after the pregnancy my BGL’s lean towards the lower side. This is something that I’m working on with my diabetic team. To answer my initial question, is coffee good or bad for diabetes? I definitely think that coffee has an effect on BGL’s. In my case too much coffee increased my BGLs. After the detox and reintroduction of coffee my BGLs still seemed to rise. An Increased consumption of coffee resulted in a decrease in my BGL’s. However I feel that the pregnancy may have been playing a big part in it all. After a few years I’m now back to drinking coffee and I try to limit it to 2 cups in a week or less. I do find that on the days I drink coffee my BGL can drop especially in the night. This month I’ve been really good and so far only had 4 cups. I don’t think I’ll ever totally give up on coffee but I will definitely moderate the amount of coffee I’m pumping into my body since it seems to have some sort of effect on my BGLs. Overall my nocturnal hypos have decreased.